Skin is in! It’s interesting how the tides change from an ultra “made-up” look to a natural look. My mother taught me long ago that taking care of my skin was important, so the natural look is sort how I’ve always been. I also like taking care of my skin and finding any excuse for a little “me” time! Which brings me to my mother’s DIY steam facials. And, this is a must-do prior to using a Comedone extractor. Step 1: Grab a medium-sized metal bowl. Step 3: Pour the boiling water into a medium-sized metal bowl. Step 4: Add a handful of your favorite dried herbs or a few drops of essential oils. Drop them into the boiling water while stirring with a wooden spoon and let the mixture steep for 10 minutes. Step 5: Position your face six to eight inches away from the water and place a towel over your head, creating a tent-like effect so the steam doesn’t escape. Keep in mind that the steam should feel soothing … not too hot. Step 6: Hold your face over the steam for about 15 minutes. There are lots of different herbs and essential oils to use, but if you’re not sure what’s right for you, check out the guide below. 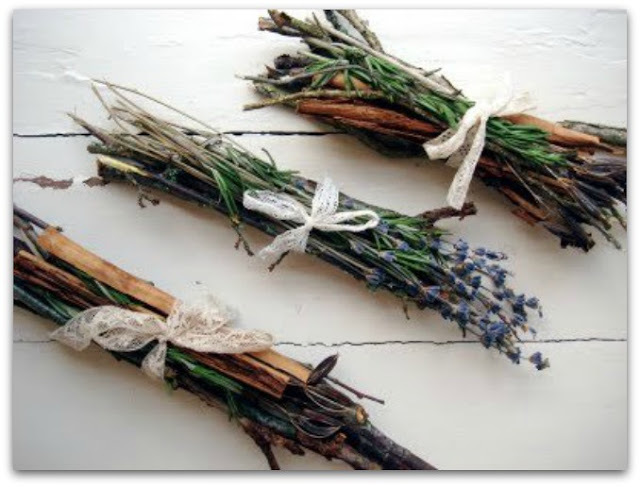 Dried lavender: This calming plant is often used for relaxation and can help ease insomnia, making it a good choice if you’re feeling especially frazzled, have trouble sleeping or simply want to feel more restored. Geranium essential oil: Geranium’s astringent properties may help tighten the skin, giving a tired, sagging complexion a quick lift. Eucalyptus leaves: The cooling qualities in eucalyptus make it a wonderful pick if you’re overheated, whether physically or emotionally. It’s also a great choice if you’ve got a stuffy nose or a cough; eucalyptus is often used as a natural decongestant for those with respiratory issues. Anise seeds: Anise is a natural antiseptic, which makes it ideal for acne-prone skin, as well as those with wounds or scars. Fennel seeds: This member of the parsley family is loaded with antioxidants—those free-radical scavengers that have big beauty benefits for dry, mature skin as well as breakout-prone complexions. Rosemary leaves: Fresh or dried rosemary has been shown to help balance very oily skin. Step 1: Steam your face. If you’re short on time, a shower will have to do. 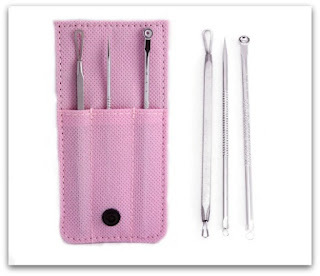 The Comedone Extractor Kit by Complete Skin Solutions lists for $24.99 on Amazon and is currently on sale for $8.95. Just a word to the wise, be careful when using this! The objective is to rid your skin of problems, not create knew ones!